Here are two Illustrator scripts for working on paths. The first one closes all the selected open paths (or all open paths if there is no selection). The second one quickly changes the orientation of one or multiple paths. Interesting if you want to add a shape to that path and need a change in the path direction. If you have selected open paths, these one only will be closed. On the contrary, any open path will be proceeded. The scripts are available in three languages (english, french and deutsch). Before the first use, you have to set the script speaking language. I like geometric transformations. That's why i propose to you this time the presentation of an image as a fan. 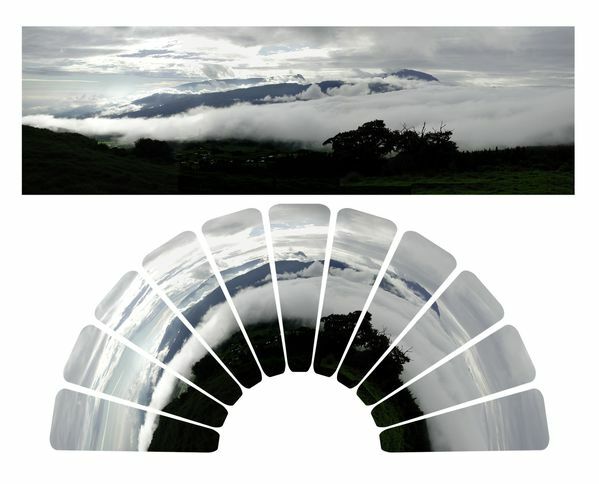 This is a fun presentation for panoramic pictures.